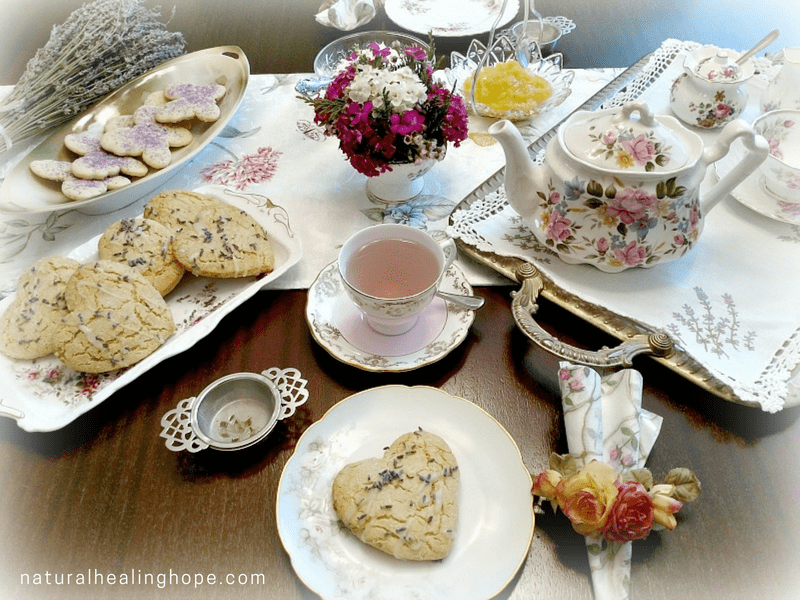 Why I decided the best gift to give my mom for Mother’s Day was a Lavender Tea Party for two. Sometimes the best gift you can give a loved one is quality time. If you have ever read or heard about the book The Five Love Languages by Gary Chapman, you know that everyone tends to express love and feel loved best in one of these five love languages. It is different for every person so it is good to learn the love languages of the special people in your life. Using their love language is the best way to communicate love to them. The five love languages include gift giving, acts of service, encouraging words, physical touch and closeness and quality time. I discovered that my love language is gift giving. I learned this because I realized that I tend to always look for little gifts to give my loved ones. Even though I continue to do this and I think my special people enjoy getting the gifts I give them, I try to be aware of what speaks love to them most. As I was preparing for Mother’s Day and considering what to give my mom I considered all the possibilities. It is always hard to find gift ideas for my mom because if she really wants something she gets it. 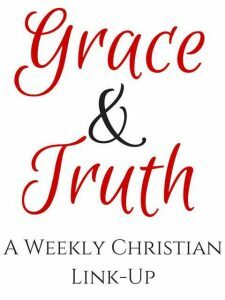 I did enlist my mom for her help with a recent gift guide post titled Unique Gift Ideas for Mom to Improve Her Health and Wellbeing. This helped me figure out some unique gift ideas that I knew she would like. However, I know what my mom cherishes most is quality time with me. So this year I put together a little tea party for two at her house in her dining room which is filled with all the family heirlooms that remind us of her mom and her grandmother which we called nana. 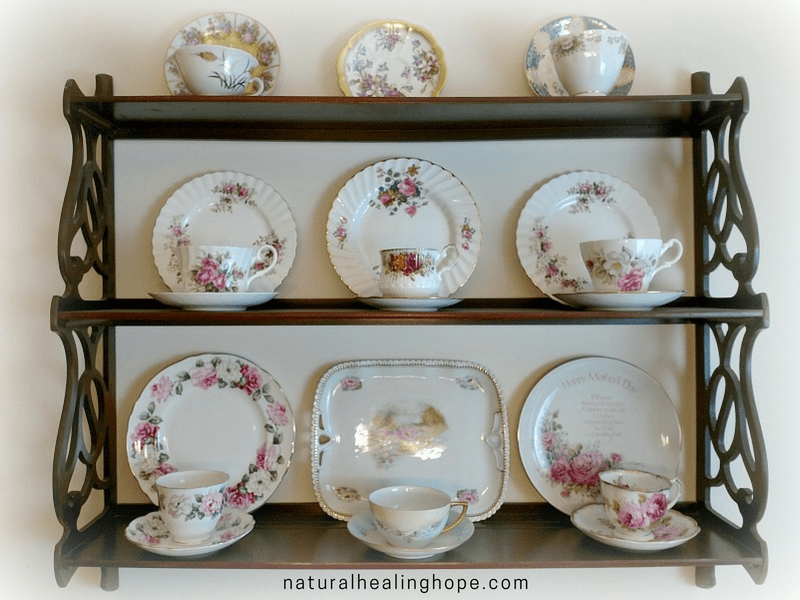 They loved tea and collected beautiful teacups over the years. 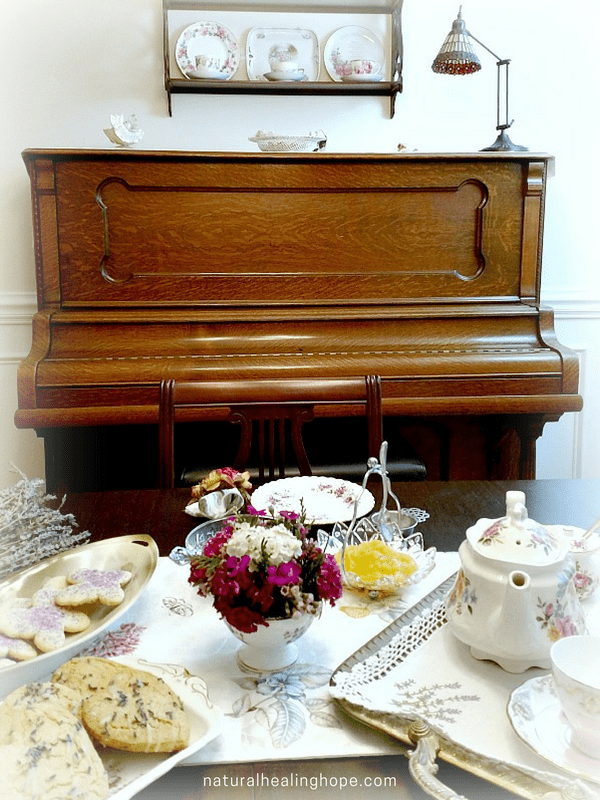 I inherited my grandma’s dining set, piano and collection of teapots and teacups and for many years proudly displayed them in my home. 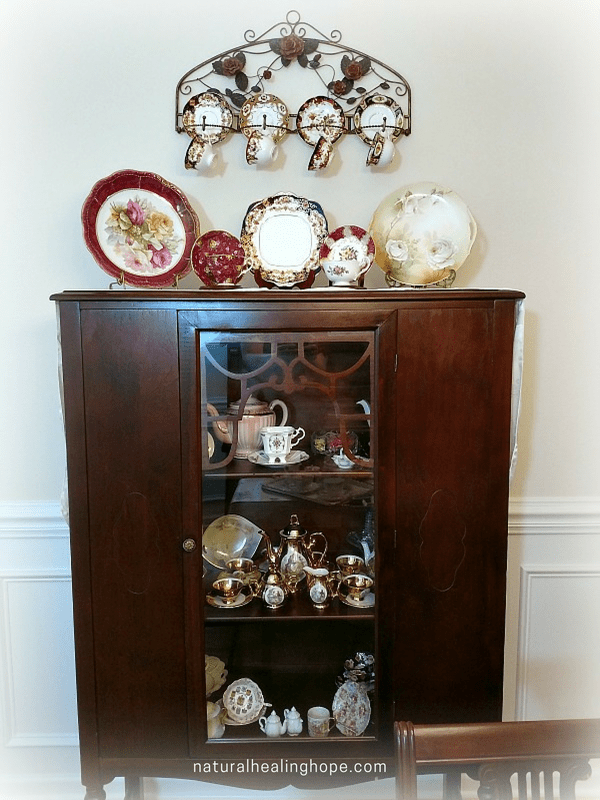 My current home doesn’t have a dedicated dining room and I couldn’t bear getting rid of all these precious heirlooms so we set up the entire set in my mom’s house. Most of the time this dining room just sits there unused and unenjoyed so it was awesome to use it for our tea party surrounded by memories of the wonderful moms that went before us and modeled what it means to be a loving mother. We decided that this should be a yearly tradition. 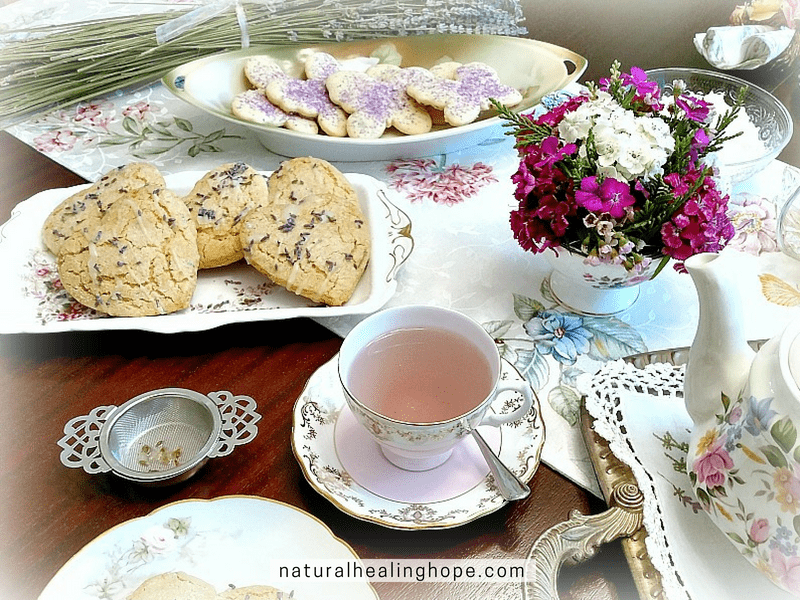 First of all, I had a big bag of organic dried lavender buds that I used for making DIY Lavender Eye Pillows so I wanted to use them for this tea party. Did you know you could make your own lavender tea just by simply steeping lavender buds in hot water and pouring it through a strainer? I got a beautiful set of two tea strainers from Amazon. I just got a bunch of fresh mint from the farmers market so I added fresh mint along with 3 Tablespoons of the lavender buds and steeped the tea for 5 minutes. The results were a lovely lavender mint tea that my mom and I are now addicted to. It has been perfect for drinking at night before bed. 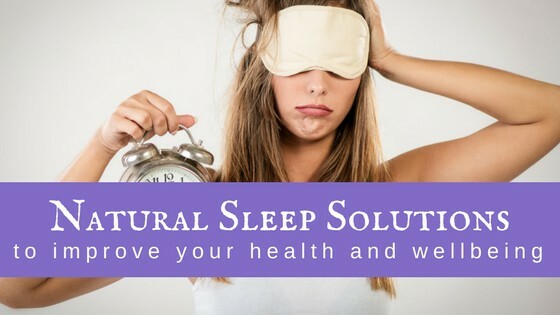 Lavender is well known for its calming effects and ability to help with sleep. 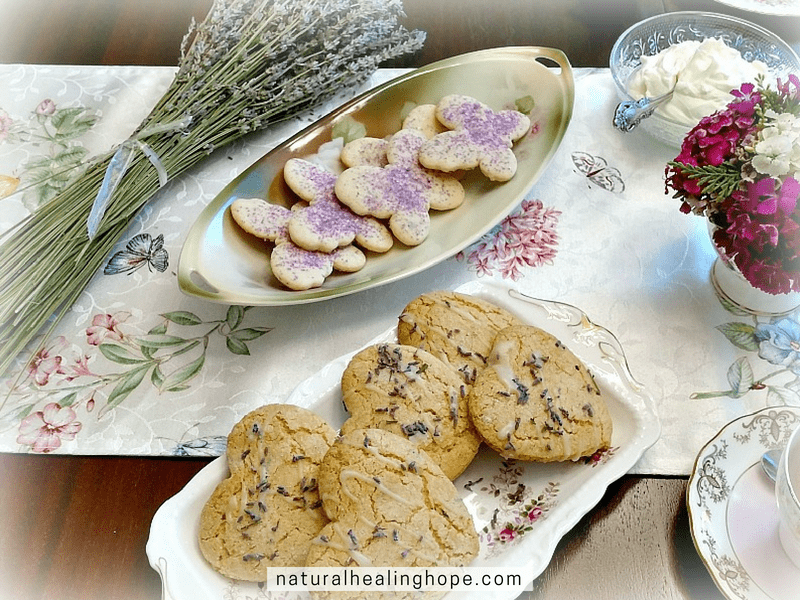 I went to our regional farmers market uptown to get flowers and it just so happened that a baked goods vendor had these lovely butterfly lavender cookies so I bought them. 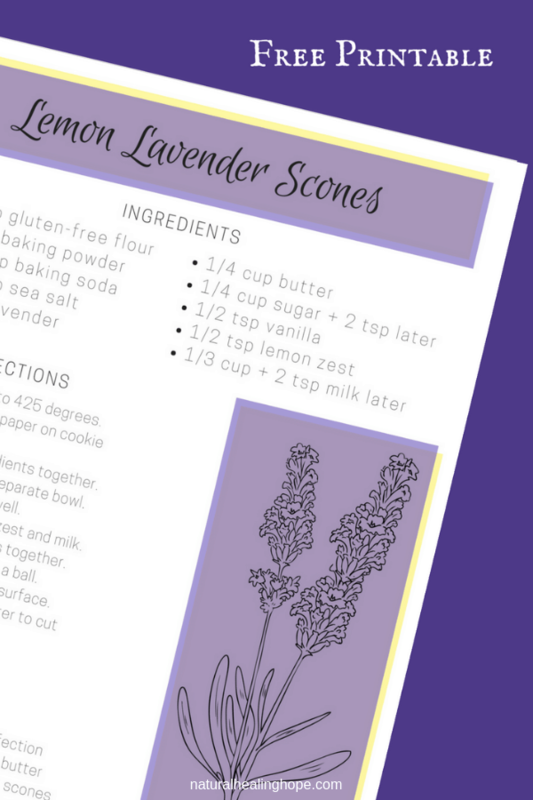 Learn how to get this FREE Printable recipe for my Lemon Lavender Scones at the bottom of this post. 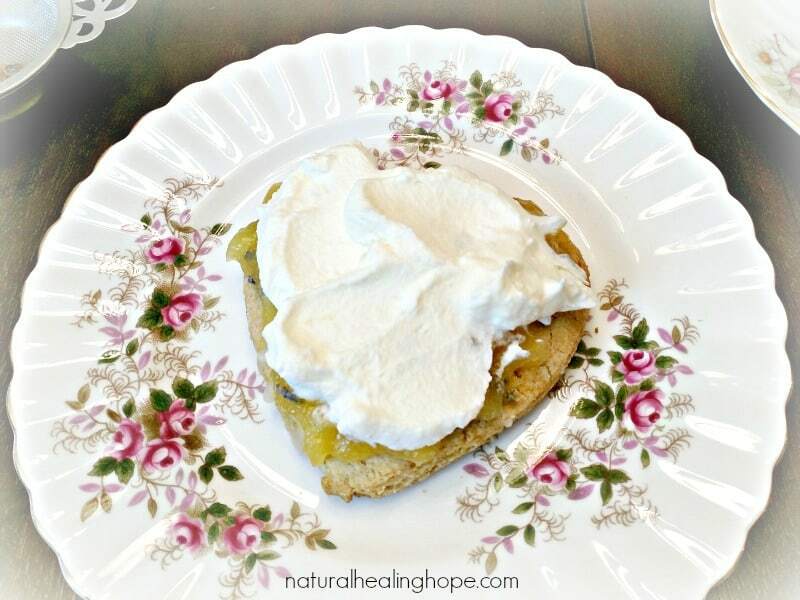 I bought lemon curd and made whipped cream from heavy whipping cream with a little sugar to put on top of our scones and they were divine. 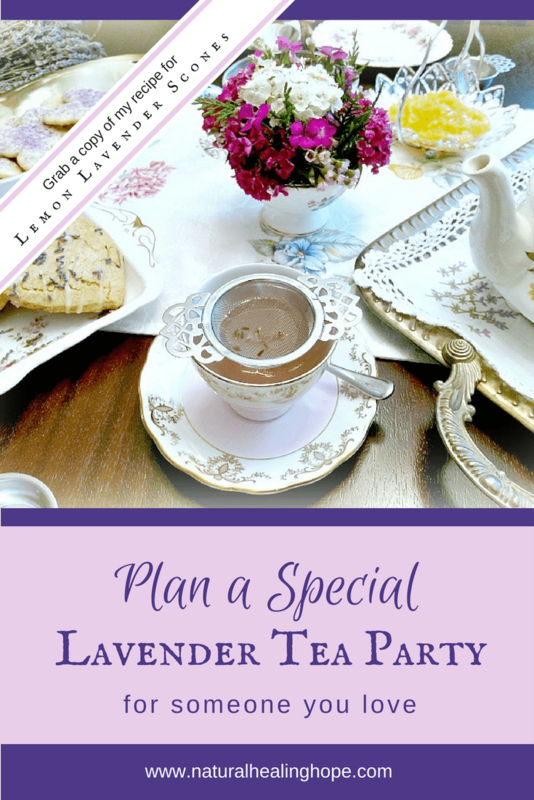 So you can see that creating this lavender tea party for two was super simple and easy. It was so much better than going out with all the crowds on Mother’s Day. We had special quality time together and my mom felt super loved and blessed. Yay! 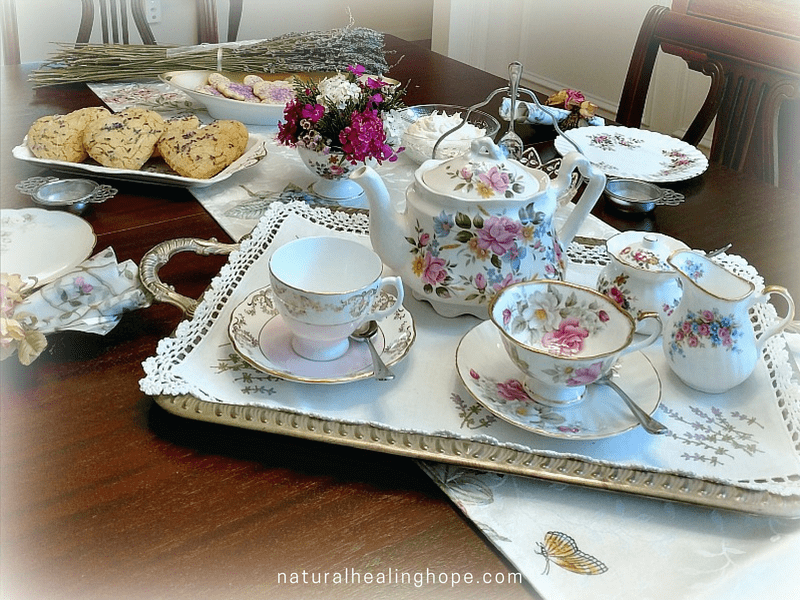 I hope this helps you envision ways you can plan a special tea party for someone you love. It’s not only the perfect gift for your mom but what about doing something like this for your daughter, or a friend? 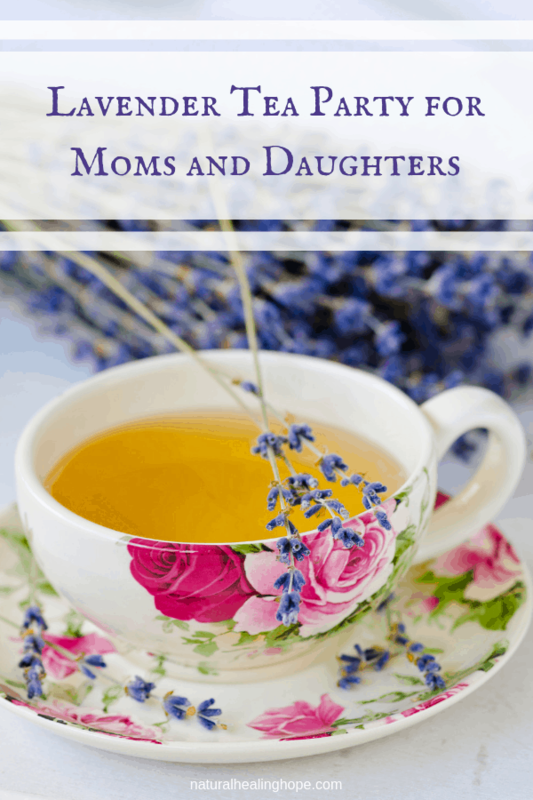 If you have a daughter I’d love you to read this post about doing a special tea with an invaluable lesson for difficult times. If you enjoyed this post, pin it to your favorite Pinterest Board to reference later. And please share with your friends. Sharing is caring! 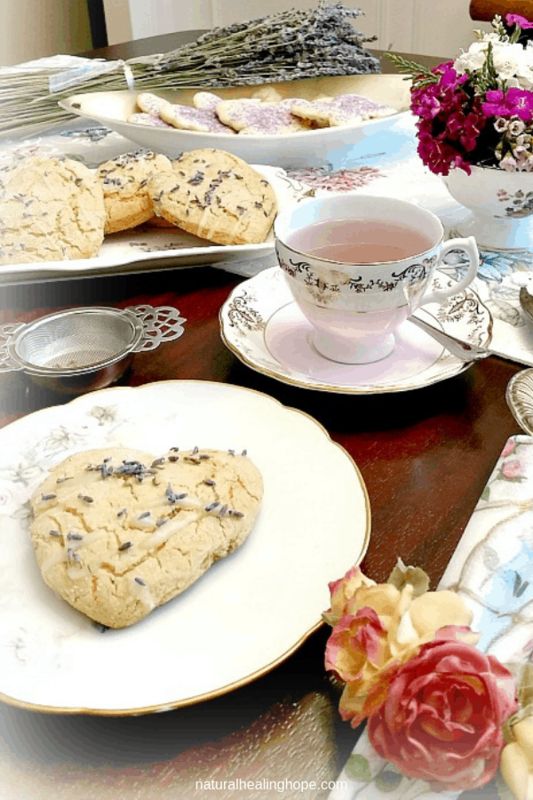 Subscribe to receive a printable copy of my Gluten Free "Lemon Lavender Scones." 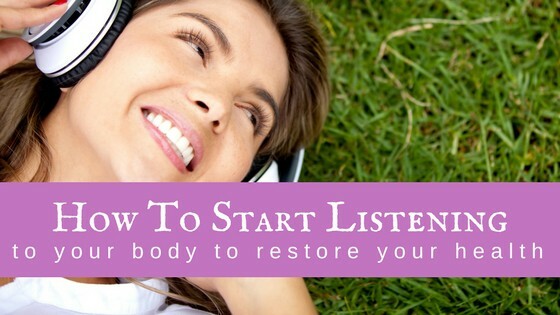 You'll also receive access to my password protected RESOURCE LIBRARY full of tools to help you in your natural health journey. I love tea parties. What a great post. Yay! Me too! Glad you liked this post! 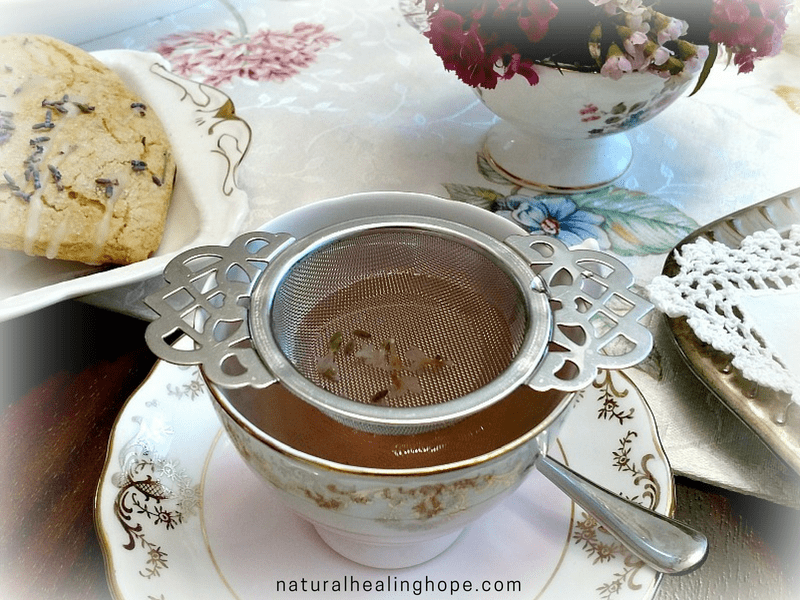 I hope you can use these ideas to plan your own tea party soon! Thank you for visiting and sharing your comments.